The Christmas Collection by Shu Uemura is certainly unmissable. 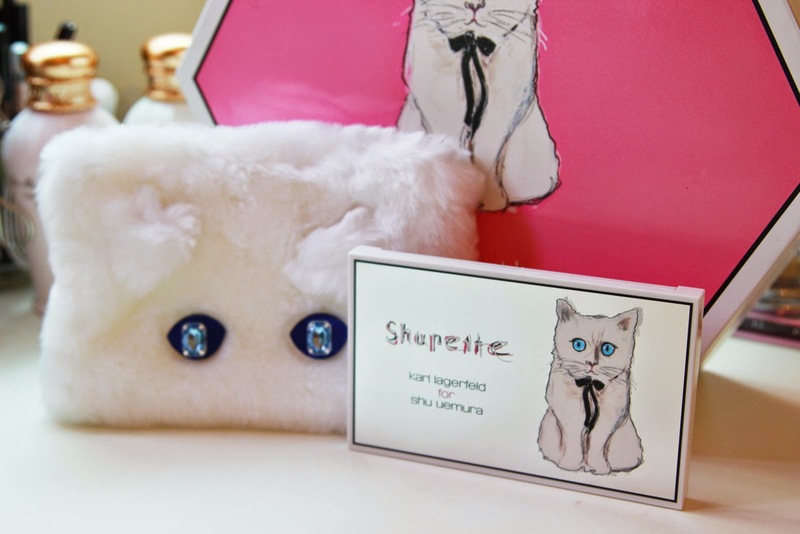 Inspired by none other than Karl Lagerfeld's darling feline friend Choupette, this Limited Edition Christmas Collection is probably a must-have for Lagerfeld-fans and cat lovers alike. 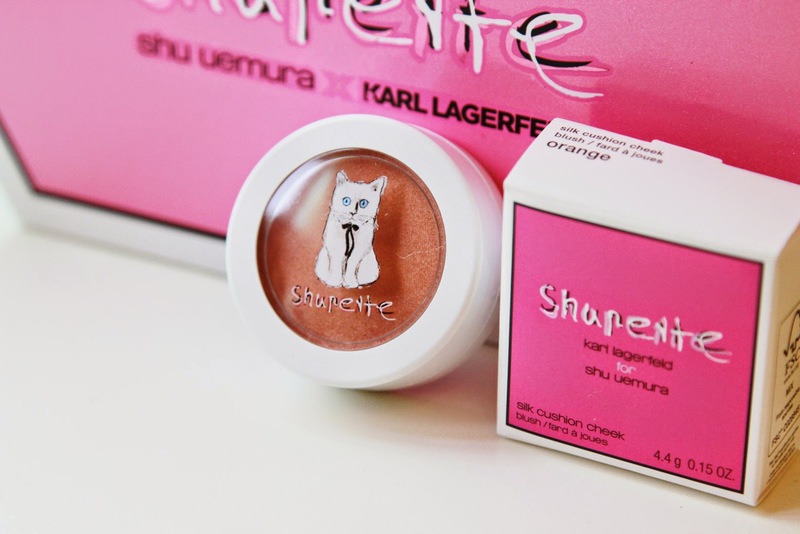 With it's bright pink packaging, adorable drawings of Choupette the cat and metallic paw prints on the packaging, the packaging had me squeal the moment I set my eyes on it. Packaging-wise, my favorite had to be the Ultime8 Sublime Beauty Cleansing Oil with its silver bottle and the signature Shupette drawing on the front. I personally, would like to keep this as decor rather than use it. However, it is told that the Ultime8 Sublime Cleansing Oil is by far the highest quality one infused with eight different botanical oils to cleanse the skin of impurities yet leaves the skin feeling cashmere soft. I personally don't use Cleansing Oils, but I'm willing to give this one a try. 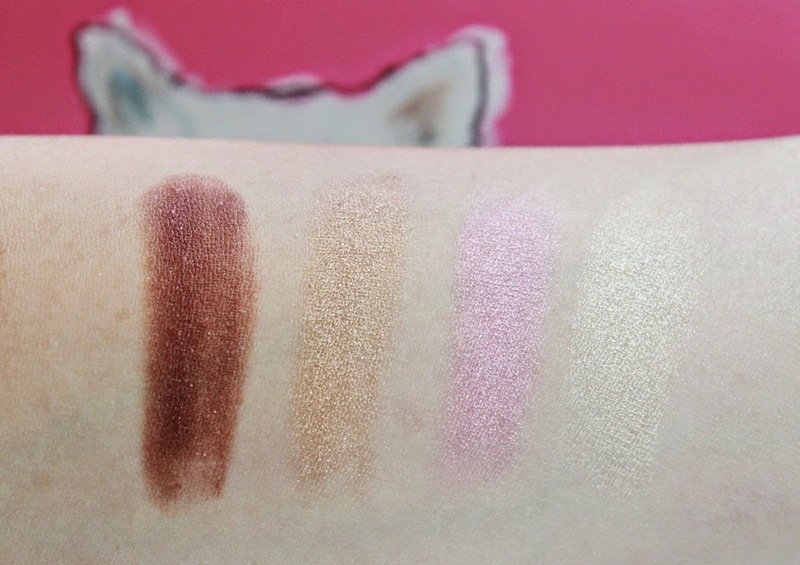 The Shupette Has-It-All Eye and Lip palette is was the one that made me think of all the different looks I could create with it. 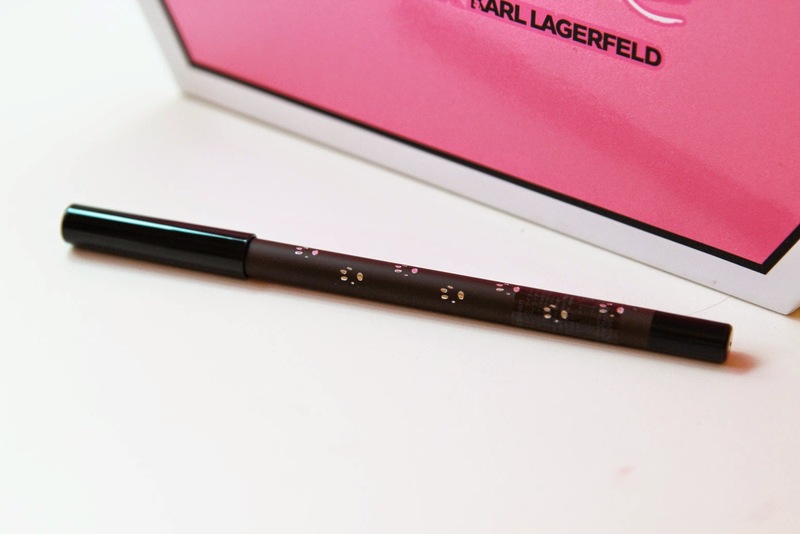 It boasts eight eyeshadow shades and six lip shades. However I am most surprised by how attracted I was to the lip formula rather than the eyeshadow ones. 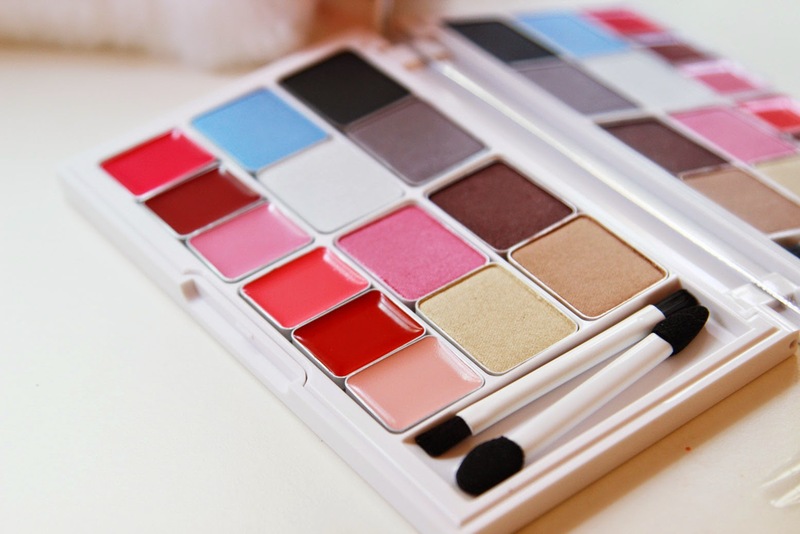 All eyeshadows contain a slight shimmer, with the left block being more cool-toned with shimmering whites, pastel blues, a metallic light taupe and a black for smoking out. 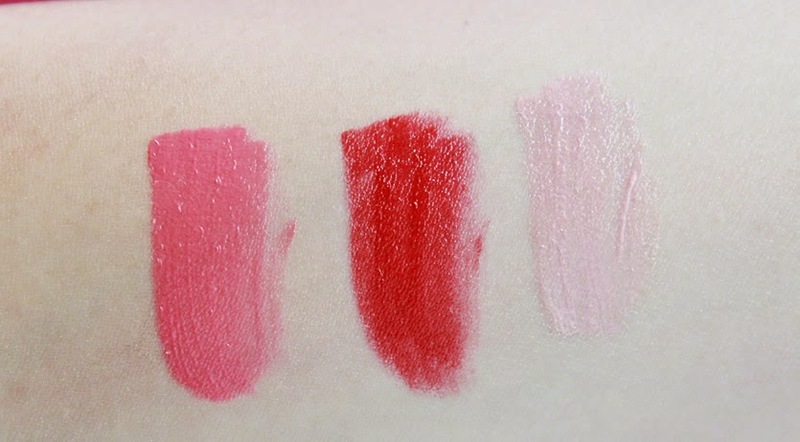 The left block of lip gloss contain a fuschia reddish-pink, a dark red and a light baby pink shade. The right block of eyeshadow contains a light gold, cool-toned pink, warm gold and a dark aubergine/brown shade. The right block of lip gloss include a coral pink, pure red and a pastel beige-pink shade. 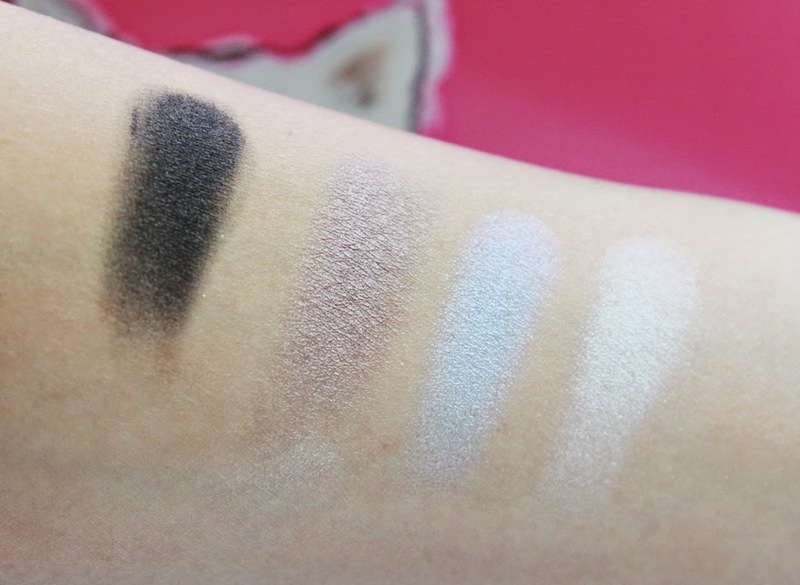 As you can probably see from the swatches, the eyeshadows are fairly pigmented. I would prefer it if they slipped in a matte shade here and there, instead of them all being so shimmery. It's good to have both to balance out the looks - however this is a Christmas Collection so I would understand how shimmer plays into it. The glosses however, have to be my favorite thing from the palette. 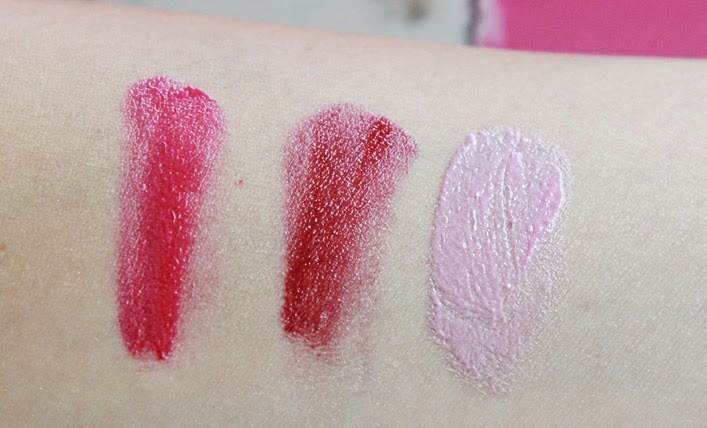 Although not a fan of the light pink shades that would probably be best just to gloss up my natural lips (as these colors don't show on my naturally-dark lips), the formulation is incredible. 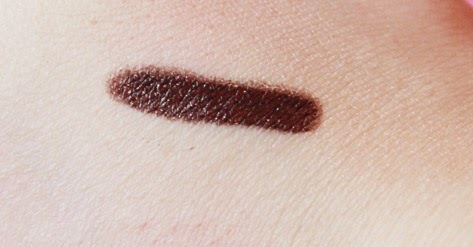 Rich sold pigments in one swipe, and extremely creamy, glossy yet not thick. Whilst swatching these I was trying to come up with a word that describes them - along the lines of 'a good balance between pigmented and sheer'. If you do manage to come up with a word that fits do let me know! If you're a fan of smaller palettes, the Shupette Collection also includes a few eyeshadow trios of eyeshadows and lip shades. Next is the Silk Cushion Cheek in Orange. It is almost sponge-like when I tried to take the color out for a swatch. 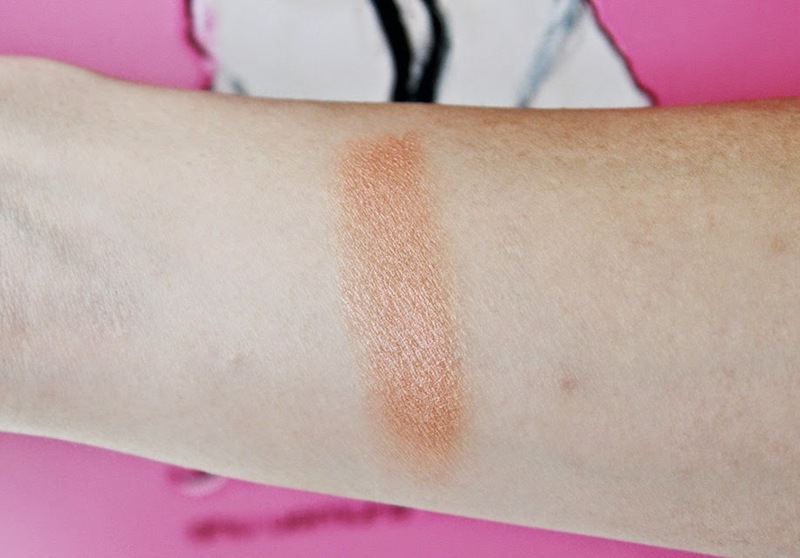 Unlike most cream blushes I have tried where the texture is very solid and hard to blend, this one is almost to an extent - slippery, which makes it easy to blend. I must say the shade is not one I would personally go out and purchase. I like my orange blushes but this one is more of an orangey-brown which can make my face look muddy as I am quite pale. Formula-wise, it is on point as far as cream blushes go. 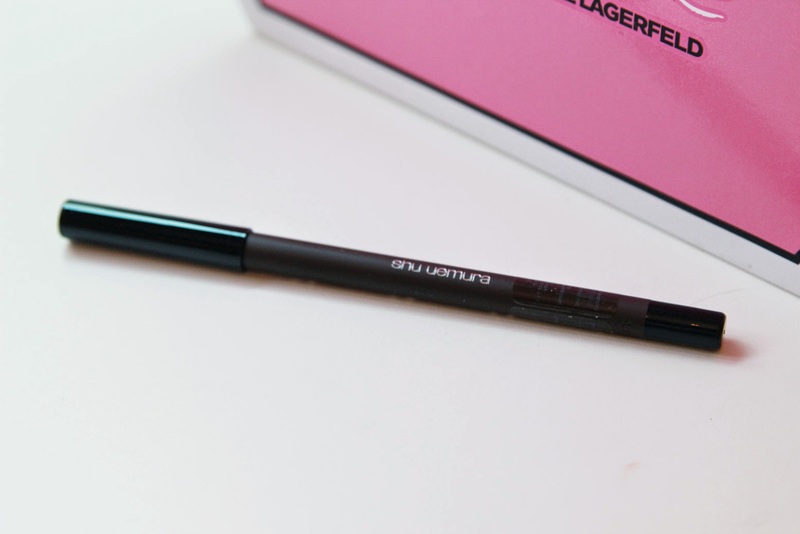 If you have watched my videos long enough you will know that I love the Shu Uemura Drawing Pencil - particularly for my inner waterline as it is super black, very waterproof and stays put all day. I was excited to see little cat paw prints on the packaging, making it extra special. As with the usual drawing pencils, this one is super pigmented and creamy. Not sure how much I'd wear brown, but it's a good shade to have if you're going for a natural look! 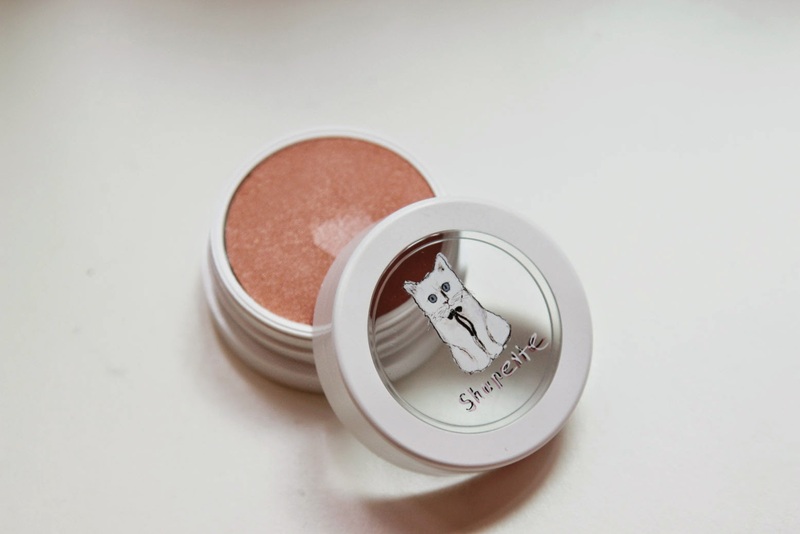 Have you picked up anything from the Shupette Collection? If so, which was your favorite? And if not, which one do you have your eyes on? Let me know in the comments! Disclaimer: This post is not sponsored. Products were sent to me for review/consideration by Shu Uemura. All opinions are my own. This is a first impressions/launch post where I have not yet tested the products to provide a full on review.